The dramatic Montagne Noire forms the backdrop to the Saint-Chinian vineyards, and to its charming southern French towns and villages. 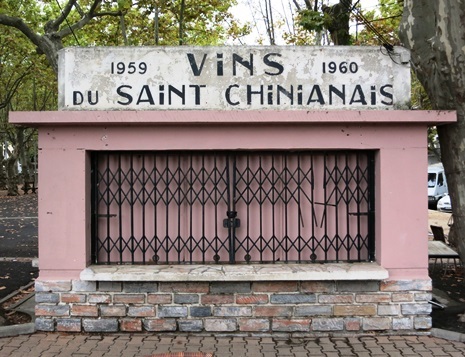 Wine communicator and retailer Paola Tich travelled there to learn more about the two distinctive styles of red Saint-Chinian wine, not forgetting its rosés and unusual white wines. On an early evening in September there’s an air of expectation among those of us gathering by the banks of the Canal du Midi at Capestang in Saint-Chinian. Holidaymakers pop their heads out from below decks on the moored barges to see if the action has started. Others (like us) nurse coffees at a nearby café, or linger around the outside of the tourist office, where the weekly “un verre au bord du canal” wine tasting is due to begin. There’s quite a crowd by the time the tasting gets underway, a little later than its scheduled 6pm start. We learn that one of the producers, Oliver Pascal of Les Terrasses de Gabrielle, has slipped in his winery. But, with a large bandage and brave smile, he still manages to put on a good show. Oliver’s AC Saint-Chinian Rouge is particularly interesting, as it gives centre stage to the wonderfully-name Lledoner Pelut or “Hairy Grenache” (it’s the leaves that are hairy, not the grape! ), with Syrah and Mourvèdre playing walk on roles. These canal-side tastings run from June to the end of September, on Wednesday and Friday evenings with a rotation of winemakers. If you like what you taste, you can buy bottles then and there. Like many parts of France (and indeed Europe), cellar doors where you can rock up at any time during scheduled weekday opening times, are rare. In Saint-Chinian, Laurent Miquel’s Cazal Viel winery is one of the exceptions. You can visit quite a few vineyards by appointment though, such as Domaine de Pech-Ménel, run by two sisters Marie-Françoise and Elisabeth Poux. As well as trying their wines, it’s worth buying some of Elisabeth’s delicious thyme jelly, a local speciality that goes brilliantly with goat’s cheese. During the summer, a number of producers organise activities such as guided vineyard walks and jazz concerts, the most ambitious being the annual La Randonnée de Bacchus. This is an 8km ramble through vineyards around the village of Berlou with seven étapes gourmandes (food stops) along the way. A less energetic option is to base yourself in a vineyard. We stayed at the stunning Château Les Carrasses, a 19th century estate that provides luxury self-catering accommodation in a private club environment. During the peak season, it organises weekly tastings with a local winemaker (you don’t have to be a guest to attend) plus regular wine discovery days that go far beyond the château’s own wine production. In the pipeline to join Château Les Carrasses as a luxury destination is the village – yes, village – of Assignan, which is being converted into an “exploded hotel” by Belgian couple Marc and Tine Verstraete. They are buying up houses in the almost-abandoned village with a plan to turn them into restaurants and rooms. They’ve started with La Petite Table, a teeny, stylish wine bar and tapas room run by Tine’s son Fons de Muynck, a chef inspired by his time in South America. The purple-and-pink themed bar (it works – honestly!) focuses on local wines, not just those produced by Marc and Tine at their wine estate Château Castigno – a place definitely worth a visit by appointment. The wines are good, but it’s the funky château that really grabs attention. Worth visiting is the scenic village of Roquebrun, a medieval jumble of stone houses nestling in the foothills of the rocky mountains and home to the Cave de Roquebrun, a well-respected wine cooperative of local growers. 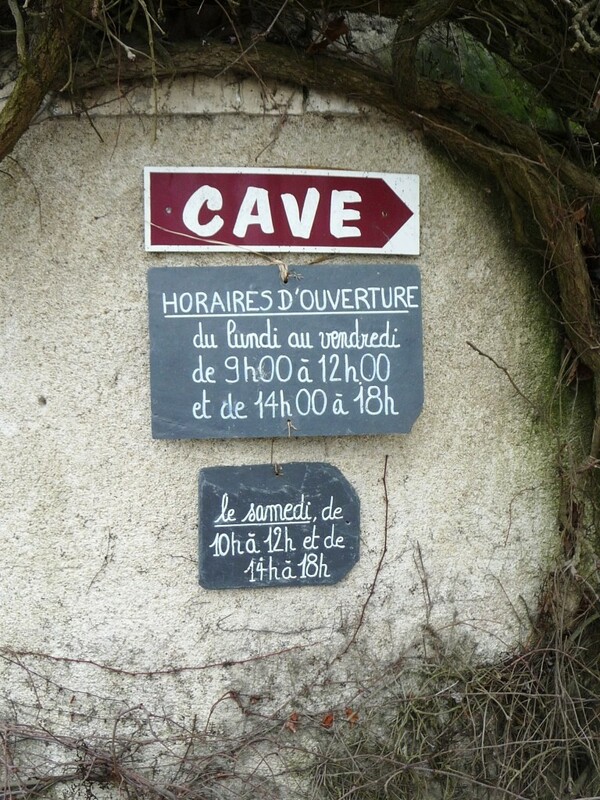 From there, it’s a stroll to the cool Cave Saint Martin, a wine bar specialising in biodynamic and minimal-intervention wines from around France, not just Saint-Chinian. The quality of the charcuterie (especially the Iberian ham) is another reason to go, as well as the view over the Orb from the wine bar’s terrace while you eat and drink. You can also buy wine, cheese, charcuterie and other gourmet treats to take away. If you really want to get away from it all, you can hole up in Le Hameau de Cauduro, an isolated mountain hamlet of eight cottages. Despite its two swimming pools and makeshift cinema, there are no shops here (the nearest are a 20-minute drive away). Winemakers will visit on certain Fridays during the summer to run tastings. 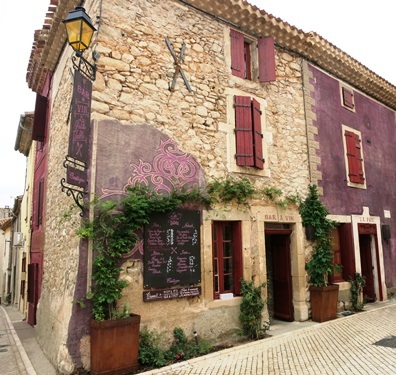 A trip to La Maison de Vins in the town of Saint-Chinian is essential if you are interested in learning more about the styles of Saint-Chinian wine that emerge from its two distinct soils – schist and limestone clay. Run by the wine producers’ syndicate, and set on one side of the classic tree-lined square, it has a wine dispenser machine so you can sample a variety of reds, whites and rosés. The syndicate has also produced an “AOC Saint-Chinian” app with lots of well-written, useful information about the wines, the terroir, the producers and wine events. Designed to work offline, you can plan your wine visits in Saint-Chinian without the hassle and cost of constantly finding a connection. 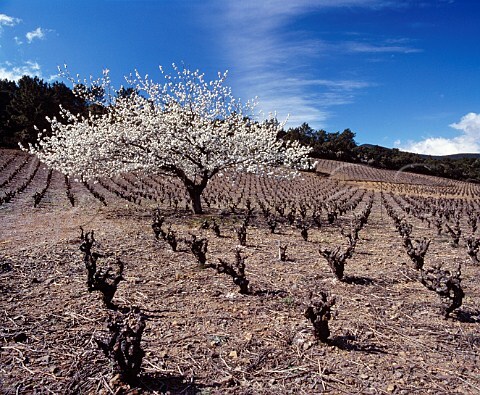 Paola Tich visited the region as a guest of the Syndicat Cru Saint-Chinian – the winegrowers’ association of this Languedoc-Roussillon wine region.